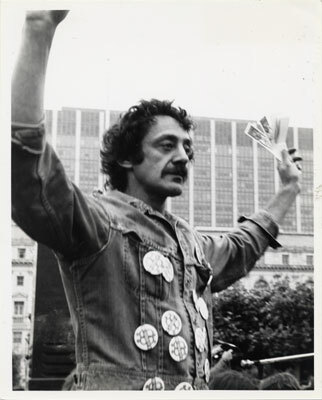 38 Years ago today, Harvey Milk the first openly gay person to be elected to public office was assassinated. RIP... the fight continues. "Somewhere in Des Moines or San Antonio there is a young gay person who all of a sudden realizes that he or she is gay; knows that if their parents find out they will be tossed out of the house, their classmates will taunt the child, and the Anita Bryant's and John Briggs' are doing their part on TV. And that child has several options: staying in the closet, and suicide. And then one day that child might open the paper that says "Homosexual elected in San Francisco" and there are two new options: the option is to go to California, or stay in San Antonio and fight. Two days after I was elected I got a phone call and the voice was quite young. It was from Altoona, Pennsylvania. And the person said "Thanks". And you've got to elect gay people; so that thousands upon thousands like that child know that there is hope for a better world; there is hope for a better tomorrow. Without hope, not only gays, but those who are blacks, the Asians, the disabled, the seniors, the us's; without hope the us's give up. I know that you can't live on hope alone, but without it, life is not worth living. And you, and you, and you, and you have got to give them hope."